THERE WAS NO NECESSITY for all this “Ali Shuffle” in deciding the criteria in choosing which type should supply energy to the power-weak Bohol. All one had to merely do was to follow the law and observe its implementation. One is the “Paris Agreement on Climate Change” signed by the Philippines in the United Nations Headquarters in New York in April 2016. The country is one of the 196 countries that bound themselves as individual sovereign states to the accord. In his signing speech, then DENR Secretary Ramon Jj Paje requested all nations to take urgent pre-2020 action. Especially since the Philippines is one of the most vulnerable to Climate Change maladies. The related Manila- Paris Declaration sealed the country’s commitment to a mitigation goal of 1.5 degrees Celsius, full carbonization and for RP to be 100% renewable energy-based by 2050. In line with the 2030 Agenda on Sustainable Development, climate change under the “Paris Agreement” was to be integrated into the national and local development plans and budgets. In tandem with this was the creation of greenhouse tag – an honest, transparent and accurate baseline inventory of emissions to the atmosphere by the Philippines. Clearly, a coal-powered plant supplied from coal miners – did not stand a chance under the full scrutiny of this sovereign commitment. Second is the “Renewable Energy Act of 2008” – a law meant to target the share of renewables to power generation from the current 33% of the total to 2030’s aim of 15,304 MW from the previous 5,438 for renewables. The move to encourage renewables like hydropower, solar, wind, biomass, geothermal and ocean energy (under the Renewable Law) was clear in the renewables’ 7-year income tax exemption and the reduction of their application time from 2 years to 45 days, accorded by the government. These two are not just state policies but binding laws that bear compliance -most of all by the local governments who will decide on the source mix of their power source. Having known this facticity, the Provincial Government should have- at the onset- set its policy based on the law as straightforward as possible– that renewables, not coal was the “way to go”. Instead, the DUs (distributing units) aired their veiled endorsement for coal by citing its being least costly (financially and not environmentally, of course). It was then bruited about that BEDAG (Bohol Energy Development Advisory Group) subsequently changed the matrix of selection to include cost, reliability, and now- environment. Governor Edgar Chatto, who also heads BEDAG who is supposed to “advise” his provincial government should have – moto propio- disqualified coal – if the full spirit of the two laws were fully appreciated. Instead, what was heard – was supposedly “due process” to be accorded to the 4 coal proponents. It was only when the “Voice of the People” – raging in a full volcanic heat against coal- that an apparently urgent Holy Tuesday meeting was convened – supposedly to air a belated “No to Coal Policy” of the Provincial Government as purportedly advised by the BEDAG. Casting aside pettiness, there is no dishonor in changing one’s mind on policies -or inclinations- aimed for the higher common good. The CHRONICLE saw a draft of the Manifesto on the “No to Coal” over the Holy Weekdays- and will be strengthened through an SP Ordinance to the same effect. The issue is not illumined, however, by reducing the debate as to just the mere presence or absence of political will or whether who has a monopoly of good or bad ideas. 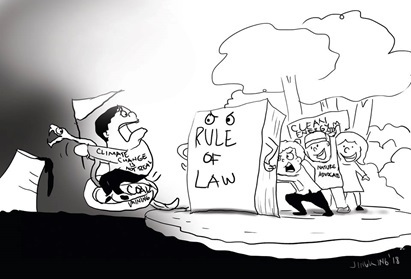 The issue is on the law of the country which has spoken on the issue of climate change, renewables, and its antithesis. All must heed- most of all local governments who must see the wisdom behind these pieces of legislation. It is truly a moral victory for a united people- glued together against harmful environmental experiments no matter how economically justifiable they may have been. Any victory is to be savored and toasted to – like a figurative Easter Sunday after a dolorous Holy Week. To explain the snake prior to the Editorial proper. Coal like a snake is dangerous. 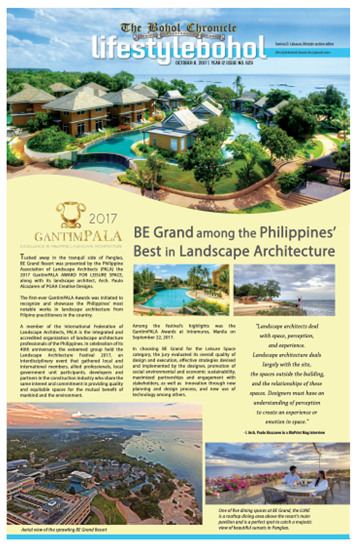 Coal – if we are honestly committed to a Green Bohol Ecology and Eco-Tourism is pernicious. Since we are, we should have killed- like the snake- coal for all its negative impact on the environment right from the start. Assigning a committee on snakes- or coals, if one insists- is superfluous and could at worse be interpreted to be secretly marshaling a hidden agenda. Perhaps a matter of perception rather than reality, really. Of course, the issue is now dead. The Government has, at least, listened to the people. And the Policy Statement we saw is good- a no-holds-barred categorical elimination of coal as a power source contender for Bohol’s electricity needs. When it comes to all good things- it is truly better late than never. Shalom!